The fantastical Westeros saga returns to HBO on April 14 for its final chapters. Lannisters! Targaryens! Dragons (dead and alive)! 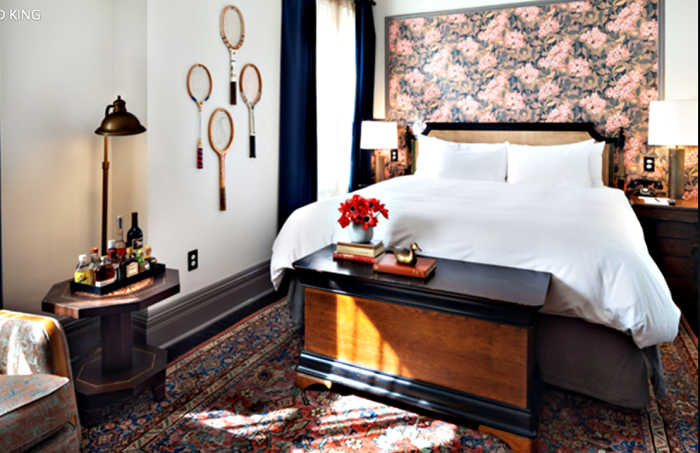 These four New York City hotels are toasting all things Thrones with a mix of viewing parties, themed drinks, trivia contests and deals for guests looking to take in the action from someplace other than the living room couch. With their “Live Like a Lannister” themed suite, the Refinery Hotel promises an immersive Casterly Rock experience. 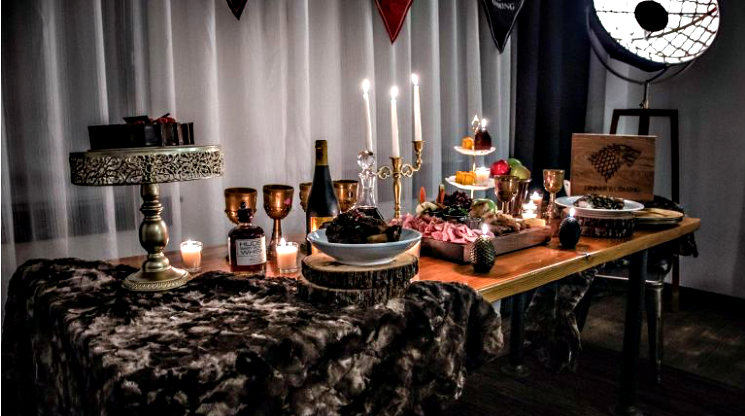 Ideal for a private viewing party, the suite is dressed for Team Red with fur throws you can drape over the sofa (or your shoulders à la Jon Snow), dragon’s egg candles to light the night, golden goblets for tossing back strong drink and HBO ad HBO GO. Room service stands at the ready with Thrones-themed edibles like Braavos Branzino (fish, ginger, castelvetrano olives, almonds, crispy broken potatoes) and “Feast of Winterfell” (pork shank, braised collard greens, heirloom beans, pomegranate gremolata). Each room reservation includes a charcuterie board, two entrees and two bottles red or wine wine to fill those goblets. Rooms start at $569, Sundays from April 14 through May 19. Two months of GOT-themed cocktails and a night of Throne Trivia on April 15 await at Hudson Hotel’s Library Bar. With a commanding fireplace, classic leather wing chairs and antique rugs, the bar is an atmospheric backdrop for a Westeros experience, whether it’s a mastery of facts from the first seven seasons or crafted concoctions like “Mother of Dragons” (Rum, Velvet Falernum Liqueur, pineapple and lime juices) and “A Lannister Always Pays Their Debts” (Hennessy Cognac, port wine, lemon juice and simple syrup). 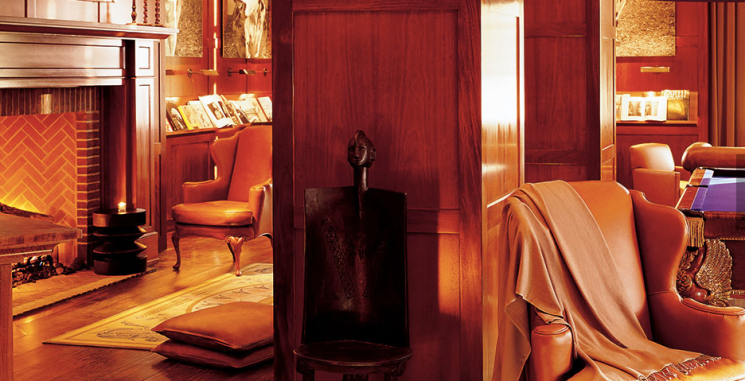 And if the evening drags, there’s a complete library of Assouline books and a royal purple pool table to amuse you. 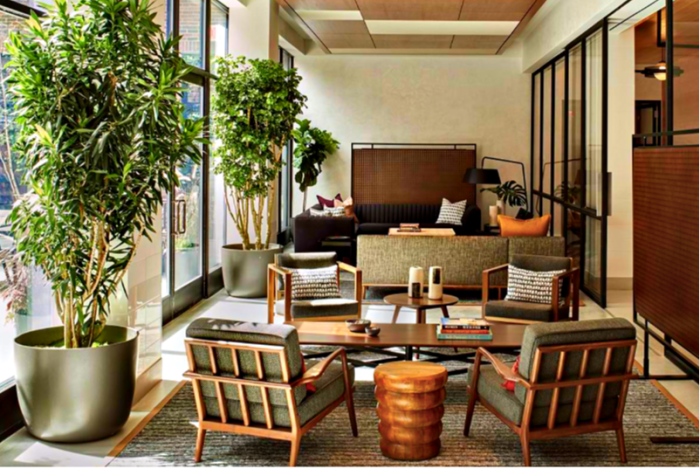 As befits two of New York’s premiere lifestyle hotels, the Arlo Hotels (SoHo and NoMad) boast inviting lobby living rooms with plentiful seating, big screens and a breezy vibe. To usher in winter for the final time, both hotels host April 14 viewing parties with lobby screenings complete with free candy and popcorn. A selection of Thrones-appropriate craft cocktails are also available (but not free). No RSVP required, but you may want to come early to score a spot on the sofa. If settling in for a brand new episode of GOT accompanied by a help-yourself-to-everything minibar is your idea of bliss, the High Line Hotel has an offer for you. With their Netflix and Twix special, you can stream your favorite show (or tune into Thrones on HBO) with the run of the minibar (caveat: no refills, no booze). Available through June when booked by April 30. Your stay must include a Sunday night. Type in BINGE when you book. The “Live Like a Lannister” spread looks most amusing indeed. It does, doesn’t it? Thanks, David.